Send money fast, Send money now! Use the same information you are currently using on our site, no need to create a new account. Download the APP and Send Money Now! Same reliability, same security and same customer service. Now at the palm of your hands. Sending money to Cuba has never been easier. With the enviodinero.com send money APP you can transfer money to Cuba and we deposit in 2 hours*. You can send your funds from anywhere to AIS cards in Cuba with your credit card or debit card. Our remittances to Cuba are secure, fast and simple. 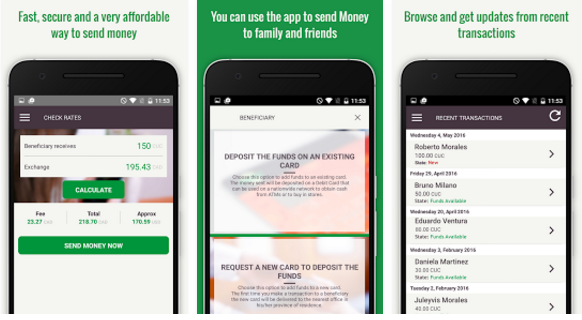 Use this APP to send money on the go and enjoy low fees everyday.